Use the moon light outdoor, Bring white flower and clean water 1 cup , tarot card , Pentacle and amulets put the receive power from the moon about 1 hour (The longer, the better). Completion ceremony. Candles, keep them next time. Clean water can drink to have good for yourself. Use the new moon outdoor, Bring tarot card , Pentacle and amulets put the help break bad power , attracting good power about 1 hour (The longer, the better). 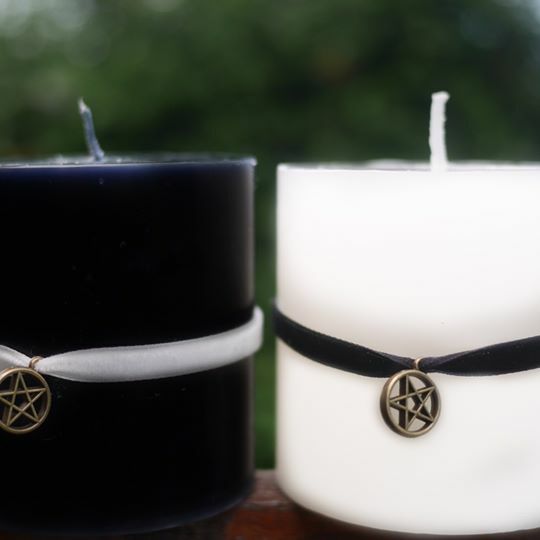 1 set of candles witch have a white and black pentacle.